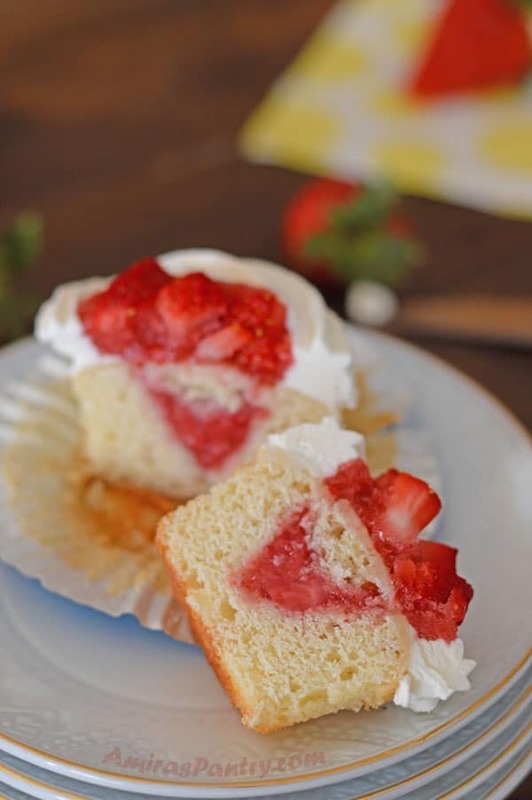 Fresh strawberry topped vanilla cupcakes, fluffy, sweet with a delightful filling. Perfect to welcome spring. 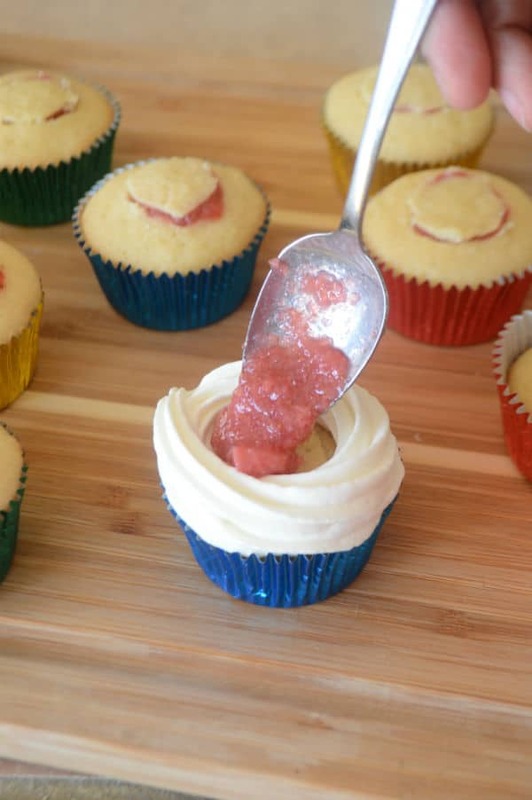 These are strawberry shortcake inspired cupcakes. 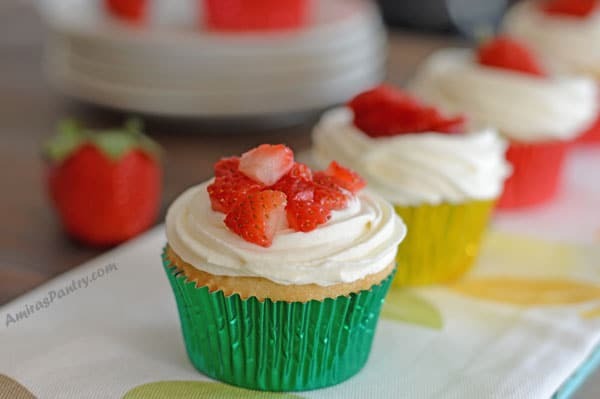 Vanilla cupcakes filled with very strawberry refreshing filling and topped with cream cheese whipping cream frosting !! I’ve a kid who is not fond of chocolate (poor kid), yet he loves vanilla-anything and strawberry-whatever too :). 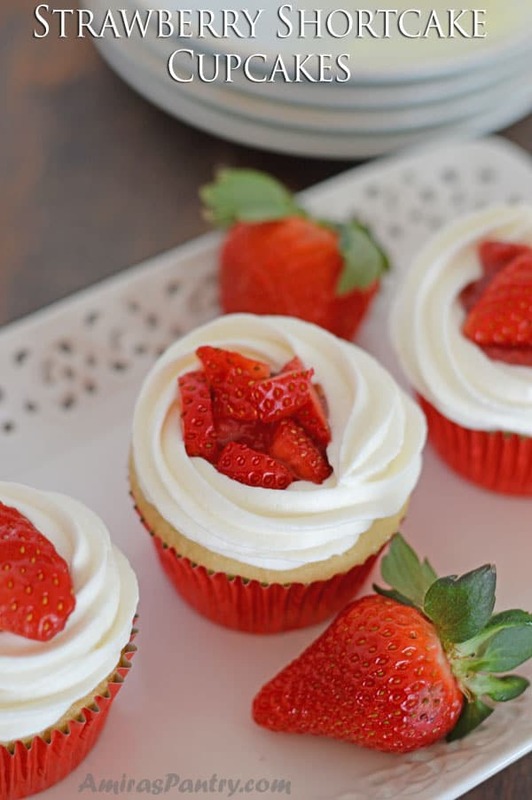 So these cute strawberry cupcakes were heaven on earth for him. He asked me to make them again specially for his birthday, and he loved decorating them with me. 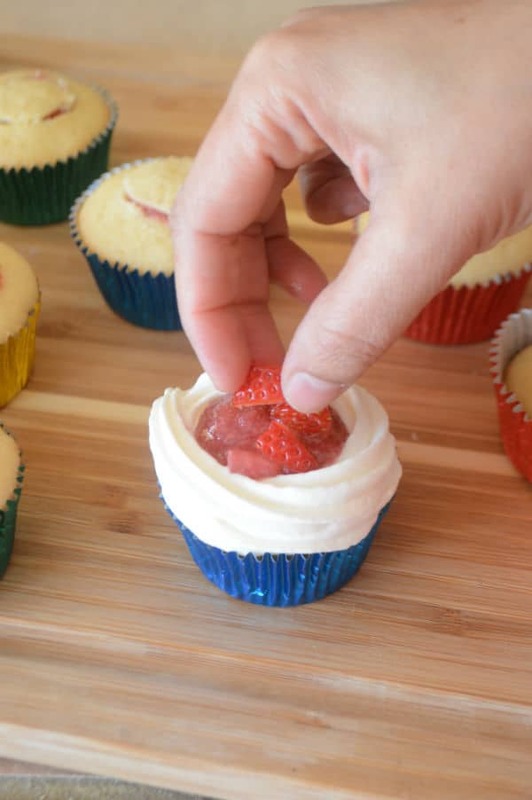 If you have a kid who is that much into vanilla and strawberry, I guarantee that you’ll be the best parent ever . So let’s make you one. 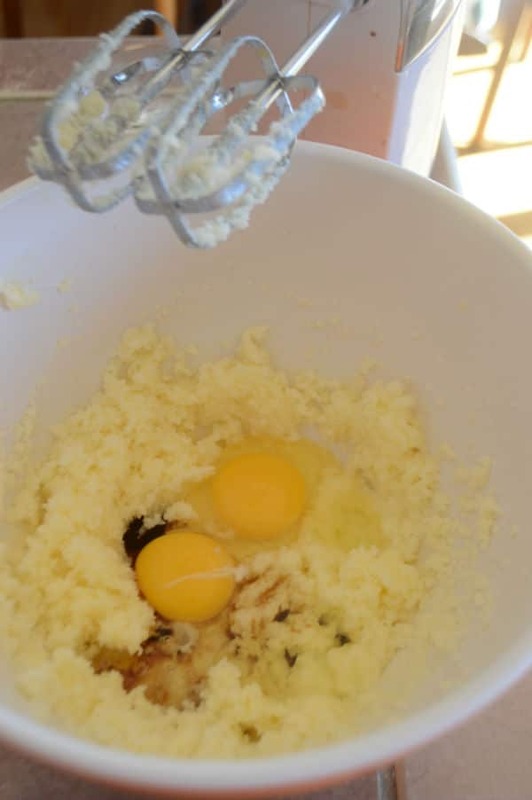 First, we’ll beat sugar, butter then add eggs, vanilla extract and mix well. Gradually add the dry ingredients and mix until just incorporated. Fill in the muffin tins almost half way through. 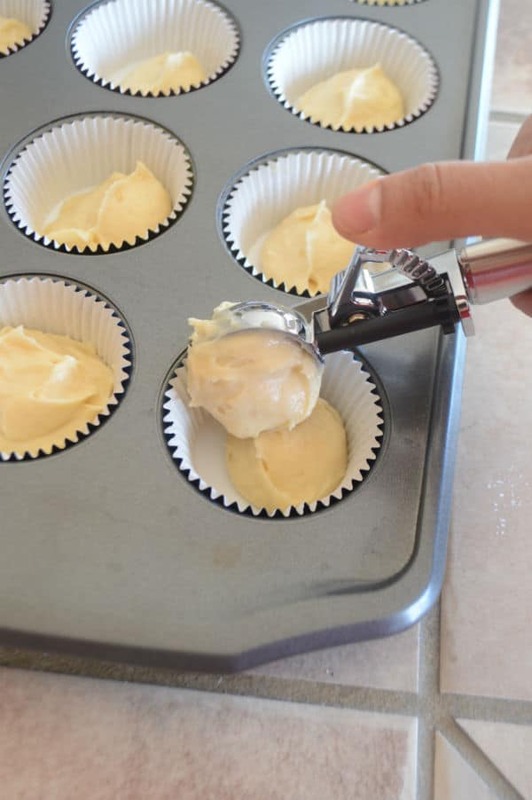 Bake the cupcakes and prepare the filling. Puree the strawberries. Then put in a saucepan with lemon juice and sugar then add the gelatin. 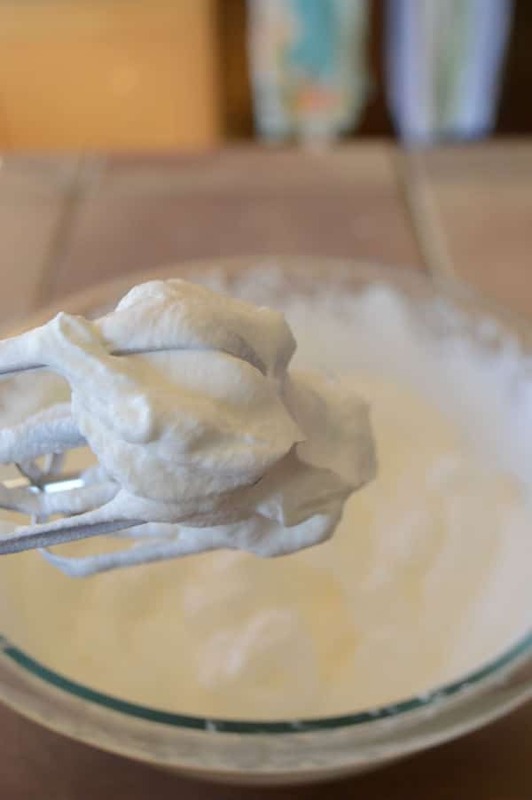 Prepare the fluffy delicious cream cheese whipping cream. 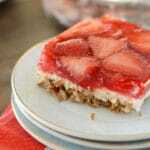 Add a little dab of the filling just to glue the fresh strawberries on top. Do not go overboard, I’ll show you why in a sec. 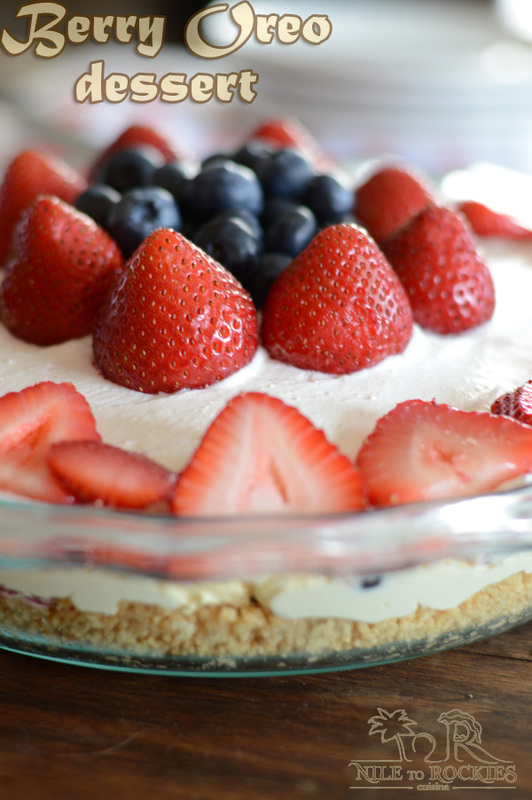 Here is what happens when you put too much filling on top… do you notice it. 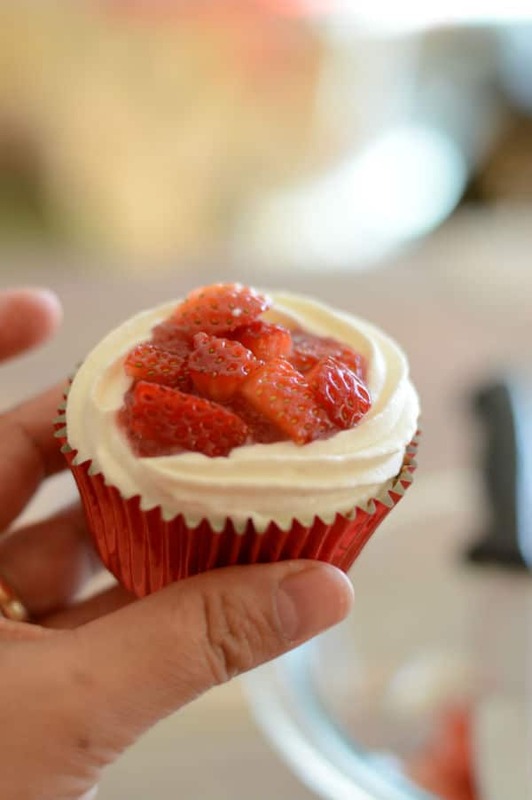 The strawberries will start to slide down taking the frosting in its way… another reason to lick more from the top hehehehe. A pleasure for the eye before the tummy. One bite and you’ll get the luscious filling oozing out of the cupcake, totally addicting. I hope you’ve liked today’s recipe… try it out soon and welcome spring . 1 cup unsalted butter, softened. 1 1/2 cup granulated sugar. 4 large eggs, room temperature. 2 1/2 cup AP flour. 1 1/4 teaspoon baking powder. 3 Tablespoon strawberry flavored gelatin. 1 lb fresh strawberries, washed and cut. 1 (8oz) package of cream cheese, softened. 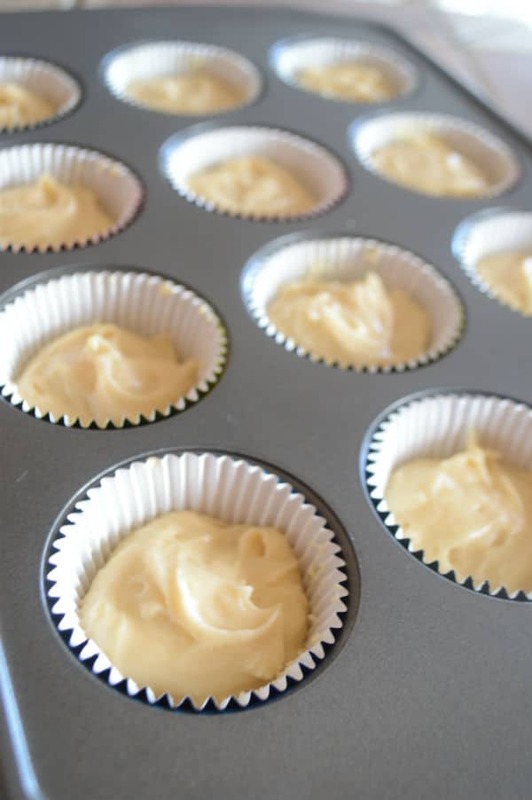 Preheat oven to 350F and line cupcake tins with liners. In a large bowl, beat butter and sugar until fluffy, then mix in the vanilla extract, eggs and sour cream. In another bowl, mix flour, baking powder, salt. 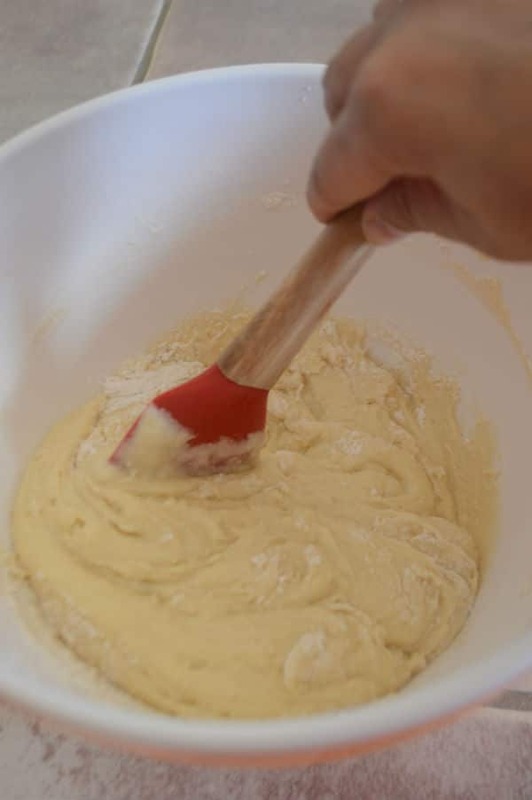 Gradually mix in the dry ingredients with the wet until flour is just incorporated. Fill cupcakes half way through. 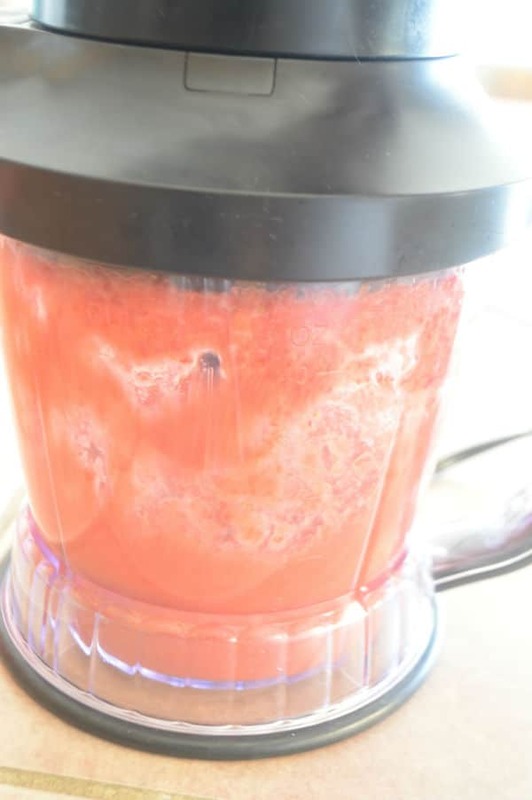 Take 2 cups strawberries, about 10 oz, and puree in the food processor. 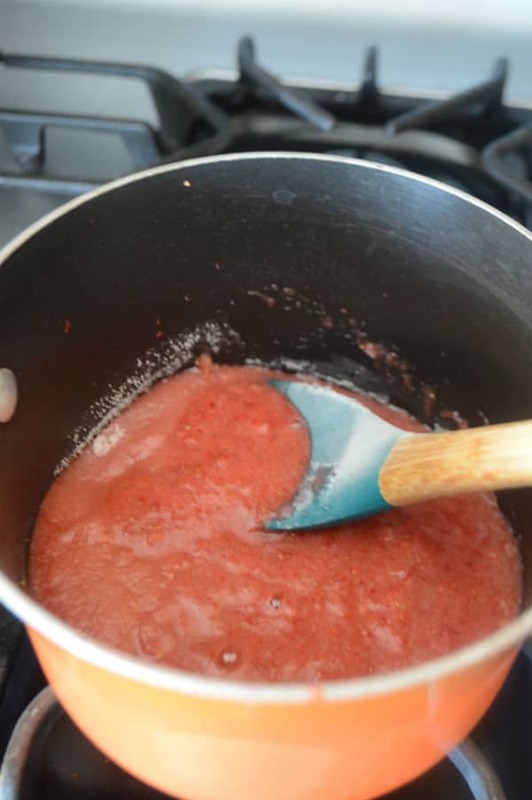 In a saucepan over medium heat, combine pureed strawberries, lemon juice, sugar and boil for 2 minutes. 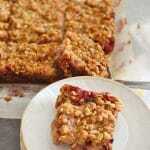 Stir in the flavored gelatin, 1/4 cup water and the rest of the strawberries. Chill a bowl and beaters in the fridge for 15 minutes. Pour the whipping cream and beat until stiff peak forms, mine took about 5 minutes. Cover and return to fridge. In another bowl add cream cheese, vanilla extract, sugar and mix well. Fold about 1/3 of the whipped cream into the cream cheese until well incorporated. Then fold in the rest of the whipped cream and chill the bowl for 15-30 minutes until firm. 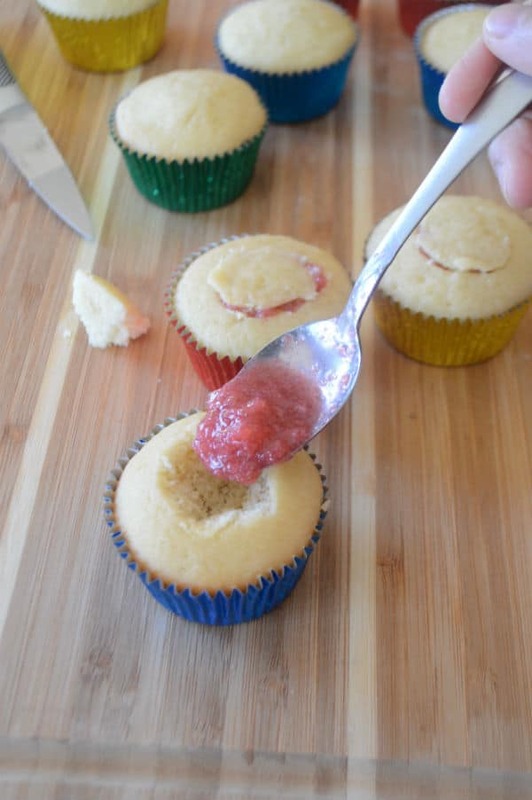 With a knife or a cupcake corer, cut a hole in the center of the cupcake and place about 1 teaspoon of the strawberry filling inside. Top with the cupcake piece you just removed. 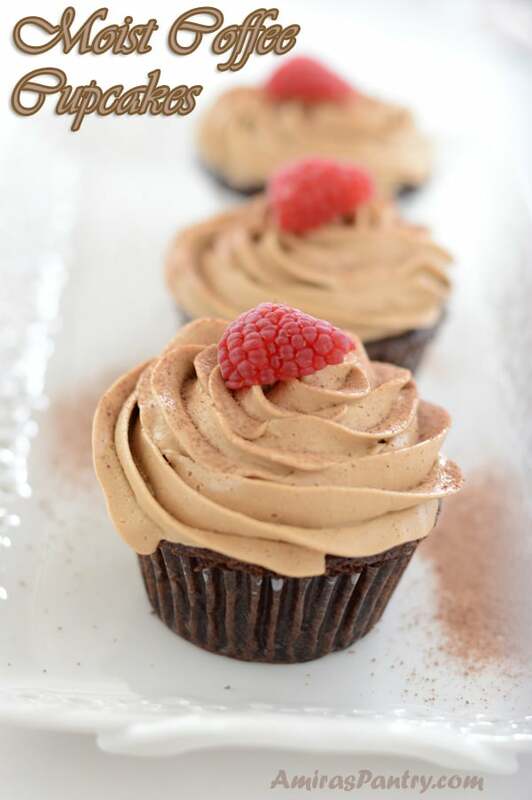 Fill your piping bag with the whipped cream frosting. 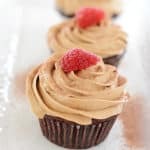 spread a tiny amount of frosting on the top of each cupcake, add a tablespoon or so on top of the cupcake in the center and pipe it with a tall wall of buttercream frosting. Garnish with more fresh strawberries on top. It is best if the cupcakes are consumed maximum 8-12 hours of assembly. 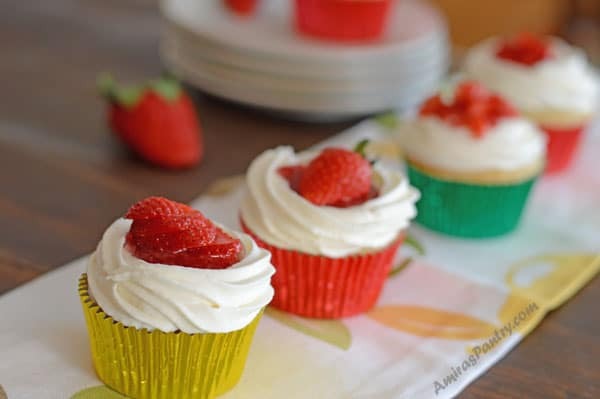 I love these cupcakes, especially because you added strawberries, Amira! Can’t wait to prepare it and indulge in this treat!